The Queensland Government has approved mining leases for the Carmichael coal mine, marking one of the largest approvals of its kind in the state’s history. Three individual leases have been approved for the $21.7 billion project, which includes the go-ahead for the rail construction project in the Galilee Basin. 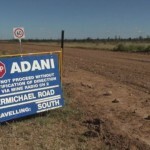 A spokesperson for Adani Australia welcomed the announcement for bringing certainty for the mine with respect to timelines, and that the company would soon return to pre-engineering work which was suspended in 2015. “Concurrent with that, the company will continue to finalise second tier approvals, with the clear aim of commencing construction in calendar year 2017,” he said. 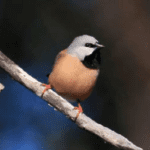 The project remains subject to legal challenges from a faction of the Wangan and Jagalingou native title holders who are opposed to the mine, and from the Australian Conservation Council (ACF). “Pending the anticipated resolution of second tier approvals and legal challenges, Adani plans to make additional announcements in the coming months that will further underline our unwavering commitment to building a long term future with Queensland,” Adani said. Queensland Premier Anastacia Palaszczuk said the project would create 5000 jobs during the construction phase and 4500 during peak operations, however she pointed out more approvals were required before construction could commence. “Some approvals are still required before construction can start and ultimately committing to the project will be a decision from Adani,” she said. 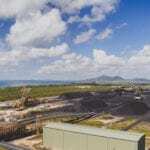 Queensland Resources Council acting CEO Greg Lane said the mining lease approval was “long overdue” with the project having entered the Queensland project approval system nearly six years ago. “I congratulate [Qld resources minister] Dr Lynham on his approval of the mining lease, which is another important step towards the thousands of jobs that will be on offer for the construction of Adani’s Carmichael Coal Mine and associated rail and port projects,” Lane said. Greenpeace rebuked the approval, stating it was an “appalling” decision to follow news of severe coral bleaching in the Great Barrier Reef. “Protecting the reef and approving the Carmichael mining lease are diametrically opposed – you cannot do both,” a spokesperson said. Premier Palaszczuk said the Queensland Government would spend $100 million on protection for the Great Barrier Reef. “We have placed nearly 200 strict environmental conditions on these three mining leases —I have now decided that the benefits outweigh those challenges,” she said. “We can have jobs and economic stimulus here in Queensland, but at the same time we can protect our important environmental assets.